Am I wrong or is someValue nowhere defined? So maybe you could put a 'test' string there to return? Because if someValue is not defined someAttribute will give you a undefined too. Thank you for your feedback. Sure I can update the game in the next days a bit. More levels are no problem, the game has an own editor to generate as much levels as wished. That you got all levels with 3 stars is good. Most people who tested it before often asked, if it's possible to get all 3 stars most of them failed first time on level 2. Thought it was easier but some people think on other ways but it makes them play and play again, so the idea behind is good I think. Will try to make the total package a bit better. How to properly destroy custom objects? I think on this board are a lot of developers but publishers will have a look to so, if someone is interested in buying gambling- or casualgames let me know. I created over 100 slotmachines (just a few in HTML5, the rest in Flash) and some little casualgames (Idle, Match-3, Find-Differences). The most of the casualgames would be experimental, but some of are played since month and bring me users to my sites and revenue sharing. Games are a nice way to catch users and bind them. Here are some Screenshots: If you're interested in buying a licence just send me an email or write in the thread. 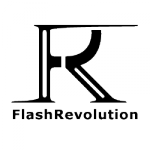 Some of my games are listed in my shop (http://shop.flashrevolution.de the sites language is german if you need informations in english I'll send you by request). Don't be shy, let me know what games you need.